I was reading Psalm 91 this morning, and it just fills my heart with peace. God is ready and willing to project you and give you peace when you put all your trust in him. Read through this Psalm slowly and prayerfully, and allow God to whisper to your heart just how much he desires to protect you and give you peace. Recently, I’ve struggled through some bouts of anxiety and panic. And, it has come out of nowhere. It has been very frustrating. And confusing. 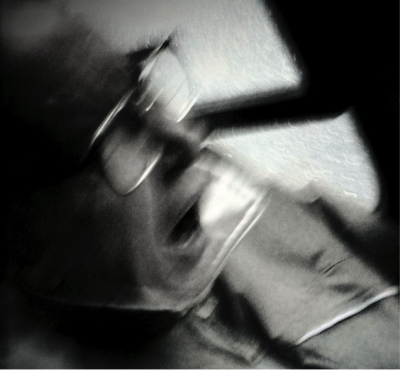 It has been years since those episodes of fear have hit me like they have recently. During this time of fear and frustration, I’ve started reading some books that have been incredibly helpful. I wanted to take some time to share some of these books, some quotes from them and how they have been so helpful for me during this time. Before jumping into my first book review, let me clarify something that’s very important. It is not the books, nor the authors, nor the information in these books that holds the answer to finding peace and freedom. These books point to Christ, and teach people how to see themselves “in Christ”, and what that means to walk that out. Many people experience fear, panic, confusion, depression and so many other mental struggles because they try so hard to live life in their own strength and effort. These books have been such a ray of hope and encouragement because they are showing me that life “in Christ” is effortless, stressless, and victorious. That is why I want to share these resources with you. Once we learn how to stop focusing on me and focus on what God wants us to focus on, we will begin to experience the fruits of the Spirit: love, joy, peace, patience, kindness, goodness, faithfulness, gentleness and self-control (Galatians 5:22-23). At the end of his rope, he came to this conclusion that he couldn’t live the Christian life. Only Christ could. And, this revelation is what transformed his life into one full of peace, joy and purpose. The author spends the rest of the book sharing how he grew into this life in Christ, and what it means to walk in this wholly, dependent relationship. It’s not a matter of doing it this way or doing it that way–it’s really about changing the way you think, pray and connect with your Father in heaven. As I mentioned earlier, this book has been foundational for me regarding this new heavenly perspective. 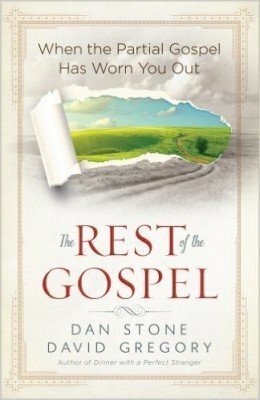 It’s the kind of book that you will want to read slowly and methodically, allowing the Holy Spirit to illuminate these deep truths. I’m convinced that this life “in Christ” is the key to peace and freedom! Everyone experiences fear. For many, it’s a subtle, gnawing feeling that something is not quite right. For others, however, it’s crippling and debilitating. Fear can affect every area of our lives–our business, our dreams, our faith and our family. Finding freedom from fear is essential to live the abundant life. My battle with fear started as a child and continued into my adult life. Panic attacks were sometimes a daily occurrence. Agoraphobia set in and my world grew smaller every time I surrendered to the fear. If I didn’t find freedom, it would surely destroy me. It’s essential that we recognize fearful thoughts when they hit. Most people don’t take time to really analyze those uninvited, mental intrusions. We simply react and respond. The Bible encourages us to “take every thought captive” (2 Corinthians 10:5). To help you sort through your thoughts, start a “thought log” and document what comes into your mind. Fear can be rational or irrational. God created us with an ability to instinctively respond in dangerous situations, and this is good. We need that innate, rational fear to protect us from sudden danger. Too often, though, fears can become irrational, and we start making decisions based on emotion, not reason. In your “thought log”, write down what is fearful to you, and then classify each fear as rational or irrational. Ask a spouse or friend to help you discern. We are born with only two fears — a fear of loud noises and a fear of falling. All other fears are learned, typically at a young age. As children, we accept most things at face value, trusting those in authority over us. But, wounded people wound people. When we believe a lie, there’s a disconnect between what is real and what we believe. Fear settles in. To effectively uproot fear, we must understand what lies we believe and replace them with truth. As I began to recognize the lies at work in my life, I was soon faced with a test. How would I respond the next time a fearful thought hit me? Would I give in or would I confront the lie? At first, it was difficult, but soon I was able to respond by facing my fears. The more I stood against them, the stronger I grew. If fear said, Don’t get on the airplane, I would get on. If fear said, You shouldn’t go into the store, I would force myself to go into the store. I responded to each irrational fear by doing what it told me not to do. For me, this was a major step towards freedom. We live in a very busy world. We rarely take time to slow down, rest and recuperate. I have discovered that stress is a primary trigger for panic attacks. When I don’t rest properly or deal with stress effectively, the adrenaline levels in my body continue to rise until the only outlet is panic and exhaustion. Today, I rest regularly by shutting down in the evenings, napping when I can, taking family vacations, and enjoying one day off a week. Fear does not need to control your life. If you can recognize and rationalize incoming fearful thoughts, then you can then find the roots and respond accordingly. With fear out of the way, you will be able to write your book, compose a song, start that new job and chase your dream! Question: Have you experienced an irrational fear that has hindered your life in some way? What have you done to overcome that fear? 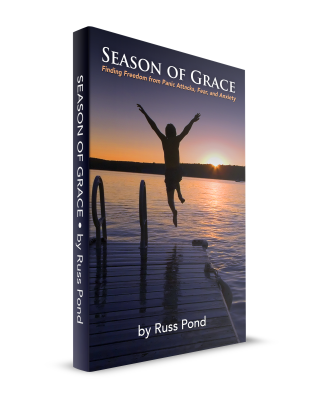 I’m very excited to announce the release of my Book, Season of Grace – Finding Freedom from Panic Attacks, Fear and Anxiety. Since I was a teenager, I struggled with crippling panic attacks, anxiety and fear. For decades, this fear controlled my life. It told me what I could and couldn’t do. It kept me trapped in a cycle of anxiety, fear and constant dread of another attack. I wanted to be free. I had to be free! I started digging deep into this idea of total, complete freedom — the kind of freedom that you didn’t have to worry about another attack, or all the things you couldn’t do. The journey was absolutely amazing! Today I am completely free from the panic attacks and fear that controlled my life for years. I am free! And, I am 100% convinced that you can be free too. This book documents my journey to freedom. I share practical steps on how to deal with panic attacks, and how to stop them. I talk about the mental and emotional aspects of fear, and how I managed it. And, I share about the finished work of Christ, and how God’s grace opened the door to true, lasting freedom. I know that this book can be an incredible resource on your journey to freedom. I hope you find it encouraging and helpful! I look forward to hearing your thoughts on the book! When it comes to fear, panic attacks and anxiety, stress can be a key trigger. But, what is stress and how does it affect us? Stress has many forms and can be caused by a variety of things. Trying to pin down the causes of stress may be difficult because it varies from person to person. 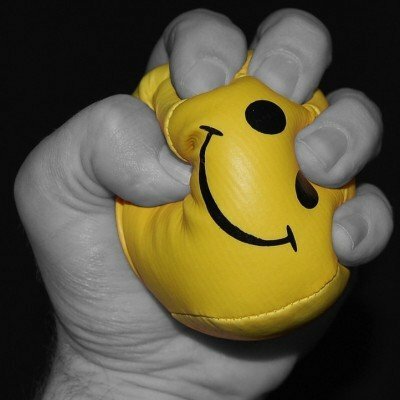 What may be stressful for me may not be stressful for you. It’s a very personal experience, but often has very common results. I have found in my own life that stress is a key trigger for anxiety and panic attacks. For the past few years, I have not struggled with panic attacks. But today, when things get stressed in my life because of work or other issues, I can sense what I call “adrenaline zaps”. It’s those small, little adrenaline dumps into my body that temporarily get my heart racing. In the past, it would often result in panic, but today, I recognize those “zaps” and immediately take steps to keep the panic from hitting. When those “zaps” hit me, I first deal with that excess adrenaline to make sure it doesn’t turn into full blown panic. But, I don’t just stop there. I start to think through the past few days and weeks. What is going on that is putting my body and mind under stress? Is it a project deadline? Too much caffeine? Am I worrying about something that’s out of my control? What am I doing to trigger this “zap”? Almost always, I am able to pinpoint the stress trigger and deal with it accordingly. Most times, it’s a work project that demands 12 to 14 hours a day of work and much less sleep. I find in those times, that I have to slow down, rest and find healthy ways to release that adrenaline, like exercise. The first thing you have to do is recognize what is causing the increased stress levels. Once you have done that, the next step is to deal with it. The problem is that we have an incredibly adaptable mental state. We can easily adjust our lives and our thinking around an increased stressed state. We grow more desensitized to this increased stress level, and instead of dealing with it, we numb it with busyness, food, alcohol and other means. I believe full-blown panic hits when our desensitized stress level reaches a point that it triggers the “fight or flight” mode in us and we don’t know why. You need to quickly respond to stress and get to the root of it as fast as you can. While you are working through the mental and emotional causes of stress, it’s important to deal with it physically as well. Stress is often caused by overwork and long hours on the job with few breaks and lots of pressure. When your work day is over at 5pm, then don’t work anymore. Turn the email off. Shut down the computer. Take time every evening to rest, recuperate and reenergize. Sleep is God’s natural way for us to heal our body and mind. Try to get at least 7 hours of sleep, if not more. Your body wants to sleep. It’s how it heals itself. Just last week, when I was fighting some serious bronchitis, I slept 14 hours straight because my body was healing itself through rest. So, get some sleep. For me, exercise is an amazing way to deal with stress. I need to get moving. Everyday, I need to do something. Even if it’s a 15 minute walk, I must get moving at least once a day. Much of our stress comes from sitting at a desk all day, working on computers and not moving very much. I don’t believe we were created to sit still. Our body just starts to shut down after sitting for a couple hours. The more you can get your heart rate up, the quicker you can dump that excess adrenaline that’s been building up in your body. Often, I’ll go run or bike for an hour at the end of a work day to burn off that excess stress and adrenaline. And, exercise also releases endorphins into your body, giving you a natural relaxant. Stress can come in many forms, but the key is to recognize it and deal with it as best you can. Stress is a very personal, unique experience. I encourage you to pray and let God show you what’s causing the stress. He is faithful and wants to help you. Prayer: Father, show me what’s causing this stress in my life. Give me the wisdom and understanding I need to deal with it.